If someone introduces you to an opportunity too good, and too convenient, to be true, you definitely should take it because you are guaranteed adventure—most likely one shadowed with conspiracy and gore. 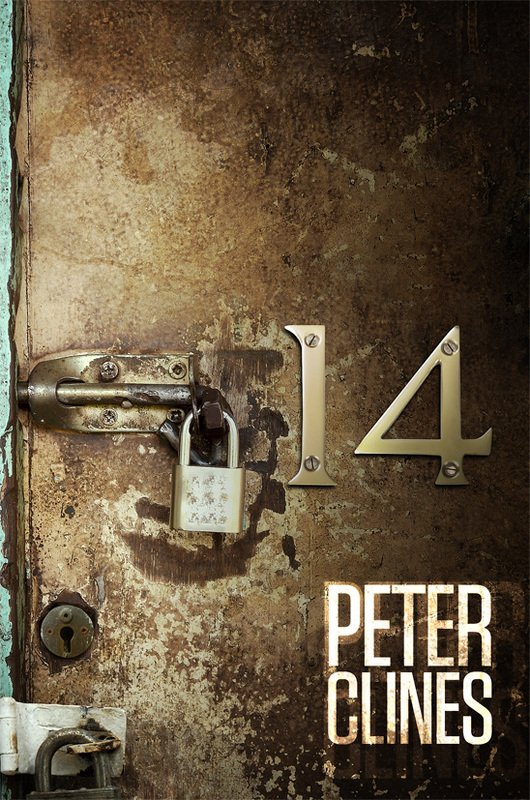 So it goes in 14, by Peter Clines, in which an apathetic data-entry temp (Nate) is referred to a cheap apartment, where rents are suspiciously low, utilities shockingly free and the neighbors… well, the ones who stick around are… interesting. The setting for this quasi-Lovecraftian, quasi-apocalyptic story is the Kavach building, which seems odd even by L.A. standards. Early in his stay, Nate notices some curious features of the old building: all the units have different dimensions; the plumbing is an inefficient web of pipes; there are discolored lights; green, mutant cockroaches; and, best of all, certain apartments are padlocked shut. This is where Clines truly excels. He develops a chilling atmosphere and social dynamic within the walls of the Kavach, and I absolutely devoured the first half of the book. The dialogue is shallow in spots, but the characters are as mysterious as the building, and as more secrets unfold, we follow a resilient crew of tenants into the deep tunnels beneath the Kavach. Of all that I loved about the first half of this book, the tunnels were by far my favorite. The subterranean setting is magnificently drawn, and it’s that sweet spot in the book where the characters are fully realized and revealed, and the reader is absorbed in their struggle. The second half of 14 is very entertaining, particularly the third quarter, but lacks the literary muscle of what came before. The first half was tight, focused, suffocating. It narrows until we get to the bottom of the tunnels, but then we begin expanding and things get a bit turbulent. Clines does a solid job of planting intriguing clues to be sussed out later, but the ending suffers from too much revelation. I’d like to illustrate this with an anecdote. My first apartment was a crumbling duplex on Tamplin Street in Sharon, Pennsylvania. It was dumpy and narrow, but the perfect incubator for two eventual writers (me and my roommate, Todd). Particularly inspiring was the basement. There was a biohazard sign on the basement door, with the words “Fallout Shelter.” The house was old enough that the sign could have been legit, though we suspected it was decoration. The basement itself was a throwaway slab of concrete—functional, boring, filled with spiders. The only thing scary about it was the rickety set of stairs. And the unexplained, nailed-shut door on the northern wall. The mystery door was almost a square, shaped more like a large window than a door, and rather than starting at the floor, the bottom edge was two feet off the ground. The top edge was only a few feet higher. It was the size and shape of a cupboard or a crawlspace. But why was it nailed shut? Horror fanatic that I am, I tried to pry it open at least enough to glimpse what was on the other side. Thankfully, I wasn’t able to. Most likely, it was just a collapsed storage space (this was a mining/steel town, and it was fairly common for back yards to become ravines). It contained probably nothing more than the earth-packed remnants of a sinkhole. But because I never got a look behind the mystery door, it has never lost its magic. Instead of a sinkhole, in my mind that door seals off a series of tunnels that burrow beneath our town, perhaps an old Prohibition-era bootlegging route, or perhaps it connects with the old cemetery two blocks away. Instead of storage space, there is a cache of forbidden scrolls. Or, befitting my Poe-obsessed youth, this is the subterranean vault where our slumlord buries alive his tenants. Who knows, maybe even a bomb shelter. The point is, I’m still fascinated by that shuttered basement door. And that’s why the first half of 14 is an absorbing read. This is literature for anyone who has searched every new apartment for secret passages, hiding spots or trapdoors. Crawled through cobwebbed eaves, the musky underbelly of mobile homes and believes, always, that every building has a secret history to tell. But unlike that basement door on Tamplin Street, we do learn what’s inside those padlocked rooms at the Kavach building. What we find there is original, for sure, but it dispels the magic. Each new revelation takes us further away from believability until 14 enters camp territory. And I’ve got nothing against camp. Truly, this part of the book is fun. But it doesn’t mesh with the earnestness of the setup. The action-packed finale further untethers the reader. The sequences are rushed, and where dialogue and observations from the characters should anchor us, we get snarky quips and CGI visuals. There is a nice homage to Lovecraft throughout, but HPL’s great trick was that we seldom saw what his creatures did. Rather, he hinted at what they could do. Clines is a hell of a writer and storyteller, but here, he opens one door too many. But that’s not entirely a bad thing, and certainly not a deal breaker (I just have a preference for more existential horror). This is a book I highly recommend. It’s fun, engaging, and I only give it four stars instead of five because of the overload of revelation at the end. I’d prefer to leave a door or two shut. I want to imagine what’s behind it. A body? A tunnel? Treasure? Or nothing? The best part is that I’ll never know. 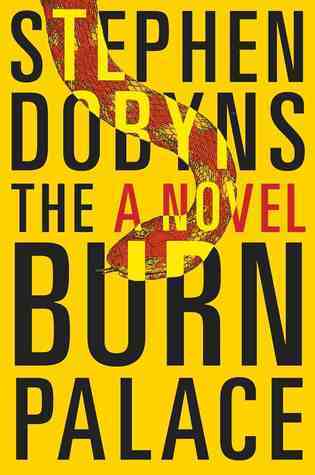 Stephen Dobyns‘ new novel, The Burn Palace, is a difficult book to deconstruct. The narrative is a tangle of shifting perspectives and sharp turns, and stylistically, is a bit disarming at first. However, we’re in the hands of an old master. What Dobyns does better than most is capture the quirks and suspicions of small-town America, and similar to his 1997 masterpiece, The Church of Dead Girls, The Burn Palace offers us an eagle-eyed, warts-and-all perspective of residents of Brewster, Rhode Island. As with the loose-ended Church, the horror lives not so much in the conflict, but rather in how the residents respond to the conflict. In this novel, Dobyns’ first in more than a decade, the catalytic event is a dramatic kidnapping. A newborn has been stolen from the local hospital, replaced with a corn snake, and thus, the town of Brewster is shrouded in mystery and controversy. From the local diner to holistic healing centers, Brewster is that odd amalgamation of new age/old age found in many small towns. It is also a town of secrets and tragedy and disaster. Dobyns brings to life the town’s diverse personalities, going to door to door in a literary trick or treat. It’s kind of like Winesburg, Ohio—if Sherwood Anderson had grown up on Stephen King’s street. Of course, the prose is excellent, and only someone like Dobyns could reconcile this many narratives and POVs in one book. That said, this is a dense work, more so for the constant shifting of perspectives, never setting us on stable ground. But then again, isn’t that the point? Rather than simply using his words to construct a referent, Dobyns, with his background in poetry, uses the words themselves to disorient, to make us confused, uncomfortable and always uncertain, but excited, about what comes next.